Slowly but surely, we are conquering the world with this dish. On her website, Goop, Hollywood actress Gwyneth Paltrow recently posted an entry titled "4th of July Cookbook Club." 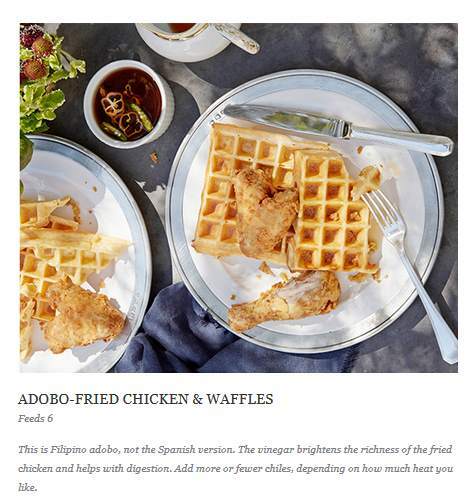 In it, she highlighted a recipe for Adobo-Fried Chicken and Waffles. In the introduction to the recipe, Paltrow wrote, "This is Filipino adobo, not the Spanish version. The vinegar brightens the richness of the fried chicken and helps with digestion."